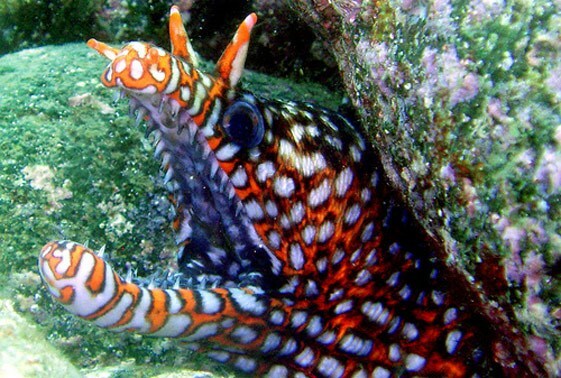 A rare eel that comes from Hawaii, though some come from Japan, but those have different colors and markings and are generally not as pretty. It can be a tough eel to get to start eating and may go for a month or two before taking food. It can be very aggressive but also can be on the shy side. Reaches about 3 feet in length and requires a large tank. They should be fed with a feeding stick.